This is gonna be a tough one. 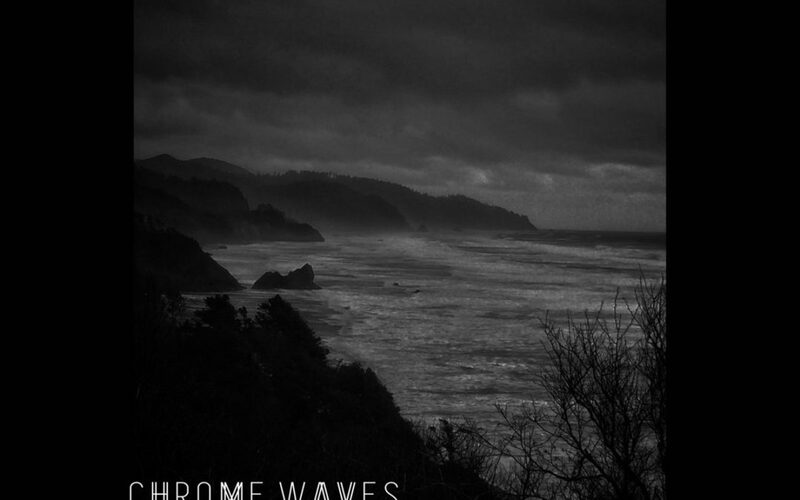 I didn’t know about Chrome Waves before this review, but I am familiar with its members, Bob Fouts and Jeff Wilson, along with their previous bodies of work in bands like Wolvhammer and Abigail Williams. I’m generally a fan of the art they produce, which is why it’s difficult for me to admit that I didn’t particularly enjoy this installment. Spoiler alert, and all that, but I don’t want to be dancing around the facts for the rest of the review. I have a lot of good things to say about the record, and I think there’s a good chance other people will find something that speaks to them in A Grief Observed, so don’t give up on this article just because you know how it ends. I didn’t know we were calling this sort of music “post-black metal” now, but it sounds much like you’d expect from people who worked on Gates of Slumber and Nachtmystium. Tempos generally stay on the slow side, guitars and vocals sway back and forth between clean and heavy, and each song is given plenty of space to build and develop. The opportunity for atmospheric embellishment is not lost here, either, evident in the beautiful string accompaniment throughout the album. In the black metal world of 2019, an album like this makes a bold statement in advance of the blackgaze-y movement made darling and dastard a few years ago by bands like Alcest and Deafheaven, and I certainly don’t mind that. The moodiness of the soundscape remains consistently bleak throughout the album, and it’s delivered in a velvety soft package that I would not hesitate to recommend to goth metal fans of Katatonia, Swallow the Sun, or maybe Dark Tranquility (if you replace keyboards with the aforementioned string section). Put another way, the album sounds fantastic, and “trve kvlt” guys will hate it. Which is a shame, because they’d find a lot to like in the depressive suicidal lyrics. Which brings me to my next point and the proverbial stick in my craw. I just cannot get over the lyrics on this album. 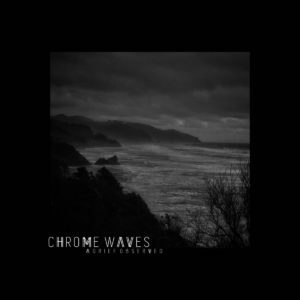 Every other element is so consistently satisfactory that their weakness stands out like a warped floorboard that trips me up whenever I get into Chrome Waves’ groove. Musically, the band is forward thinking and unique; lyrically, they tread absolutely zero new emotional or artistic ground. Lines like “Where was I when you needed me? Where were you when I needed you? Torn apart, ripped away” would be more at home in a “2-edgy-4-u” screamo band from the Vans Warped Tour 2004. Though this criticism is sometimes true of the good cop/bad cop vocal delivery as well, at least the end result is sonically pleasing. The clean vocals in particular are hauntingly mixed and effects laden to make them ethereal and emotional and truly a standout feature on the album. At multiple points in my listening experience, I wondered how much more enjoyable this album would be for listeners who can’t understand English well, because everything else about it is above reproach. If it sounds like I’m being too harsh on the lyrics, I’d say my reasons for giving them so much extra attention are twofold. The band chose to put the vocals at the forefront of the mix so they always stand out; you can’t really tune them out and therefore can’t really overlook them. More importantly, the bar for depressive suicidal lyrics in “our kinds” of music has been raised immensely since “bullet in my head, where will I go when I pull the trigger” was the kind of line that turned heads. We’ve had suicide done to death (haha) by Shining, and depression music now has to contend with heartstring shakers like Mount Eerie; A Crow Looked at Me is the saddest thing I’ve ever heard and the material presented here is mild by comparison. I need artists going these routes to make me dry my eyes, not roll them. Overall A Grief Observed is a brilliant piece of production with some wonderfully minimalist music. Its strengths lie in the quality of the recordings and arrangements, and particularly in the amount of time and space given to each song to build and develop ideas to their conclusion. The album suffers from too much of the same emotional and sonic texture, making for a listening experience that feels longer than it really is, but A Grief Observed has a stronger second half, so if you make it to album highlight “Predatory Animals” you might as well stay for the finish.